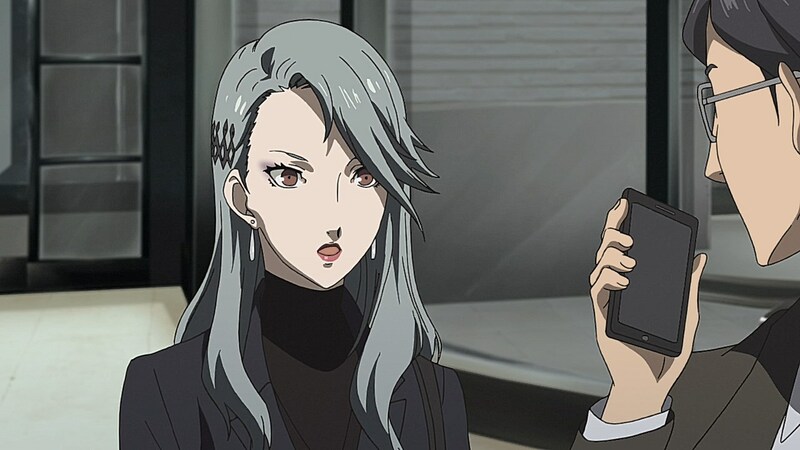 With Okumura’s demise, this episode deals with the SIU’s investigation reaching its fever pitch with Sae Niijima ramping up her investigation to aggressively target any suspected members of the Phantom Thieves localized in Shuujin Academy. 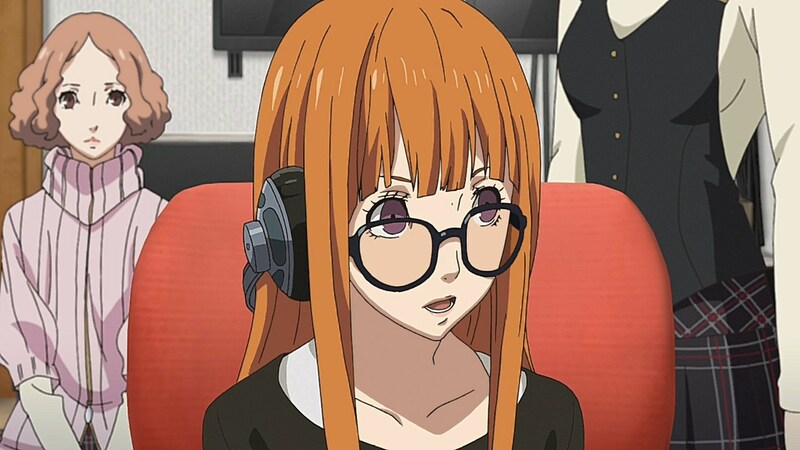 The anime captures the claustrophobic feeling that the Phantom Thieves have in this part of the game well as each of the members question exactly who they’ve made enemies of in the process of their thievery if it took this quickly for public opinion to sway for and against them. 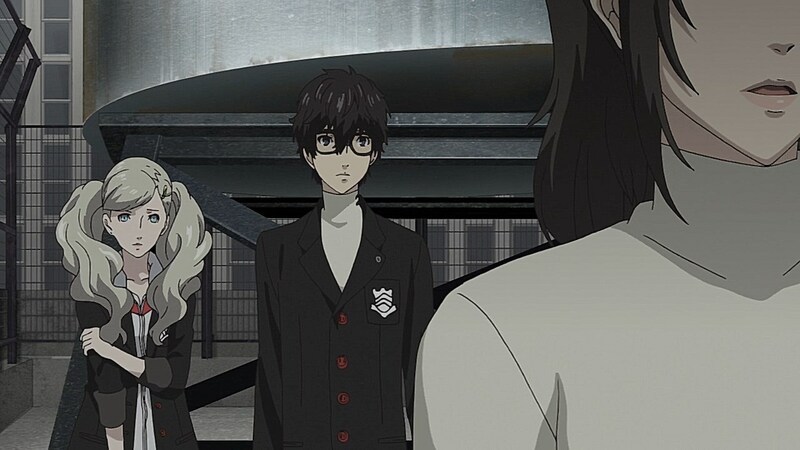 Because of the hopelessness they’ve felt in an unjust game that’s rigged against them, the anime goes towards a reasonable direction by focusing on parts of confidants where Ren and his friends go soul-searching for a means to reverse fate. 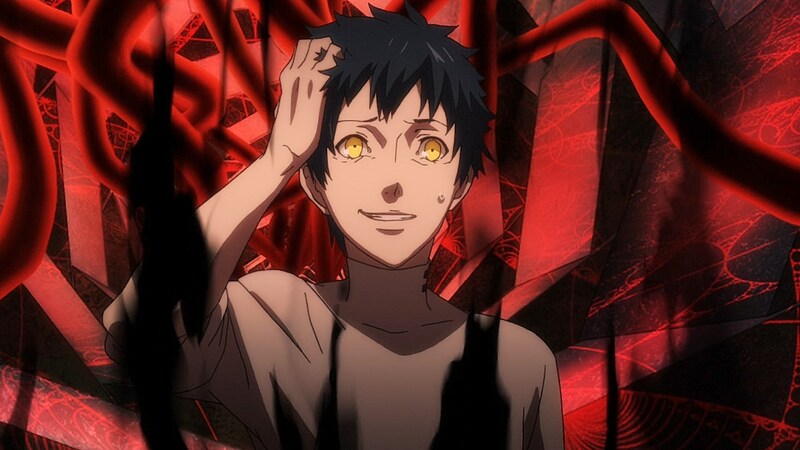 Mishima and Hifumi’s confidants act as the main pillars of this search for improvement. Because the Phansite ended up being the source of much of the fervor, outrage, and outside hacking from the same source as the initial Medjed hacking, his position as the site’s admin would leave him in a far more emotional state. 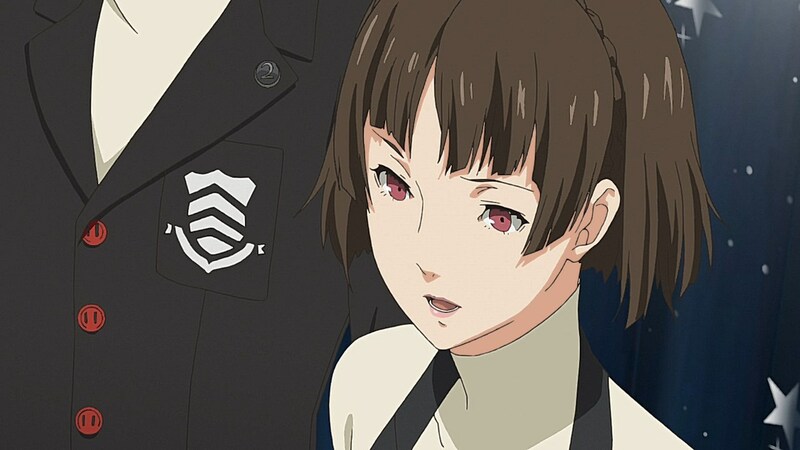 Rather than happening whenever the players can get though it, timing his distorted thoughts and ego trip with Niijima’s investigation makes sense as far as placement goes. 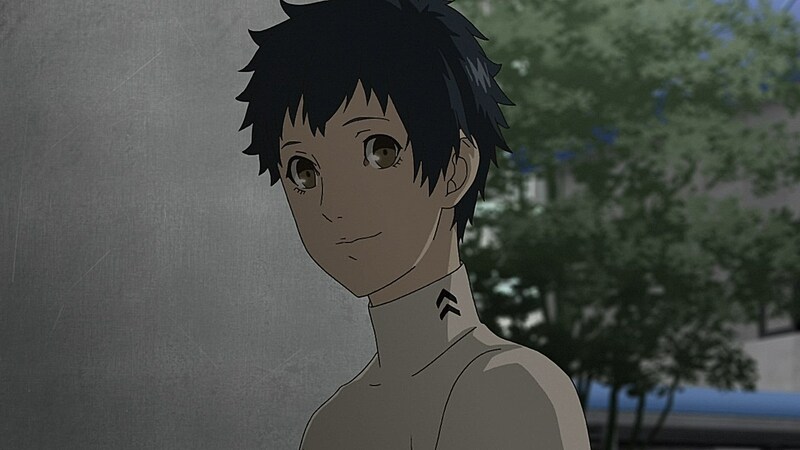 He redeems himself once he’s passed that and once the game reaches its last palace, but they did a good job at building up to Mishima’s ego reaching its most obnoxious as he claims to be the spirit of the Phantom Thieves and uses his status as the Phansite admin to buy lavish meals and try to get the thieves to target a celebrity that is dating an idol he likes. 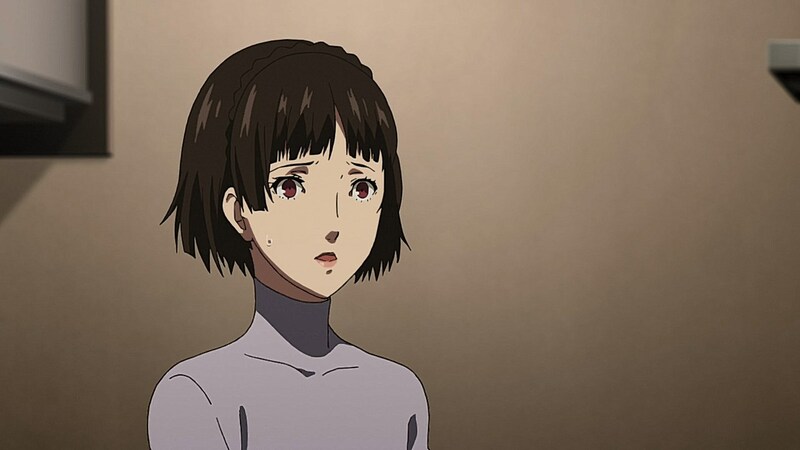 While Mishima’s “change of heart” works to show the Phantom Thieves working to reform themselves to find their focus again, Hifumi’s guidance acts as a way for Ren to learn new strategic tactics. 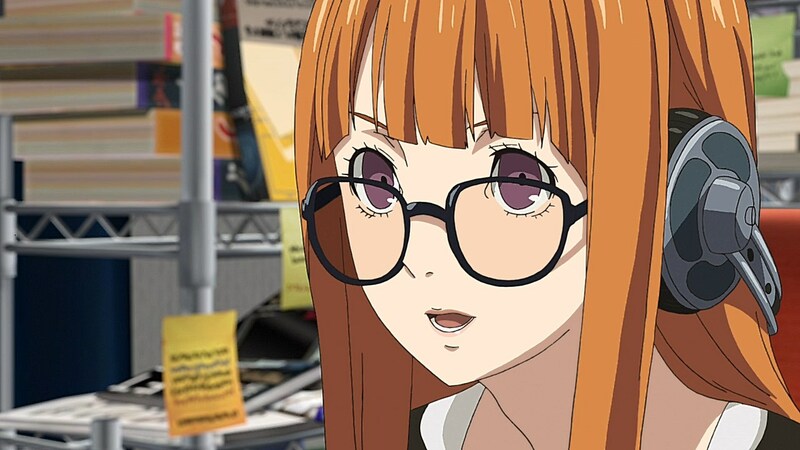 Although Futaba and Makoto have been able to deduce that an outside force is working against them, a combination of Ren getting to know Hifumi and training under her could help hone his tactics on the field so that he can be further in tune with the brain power that Futaba and Makoto have as far as building a counterattack. At the same time, there were other moments that stood out well among the more eventful moments of this section of the game. 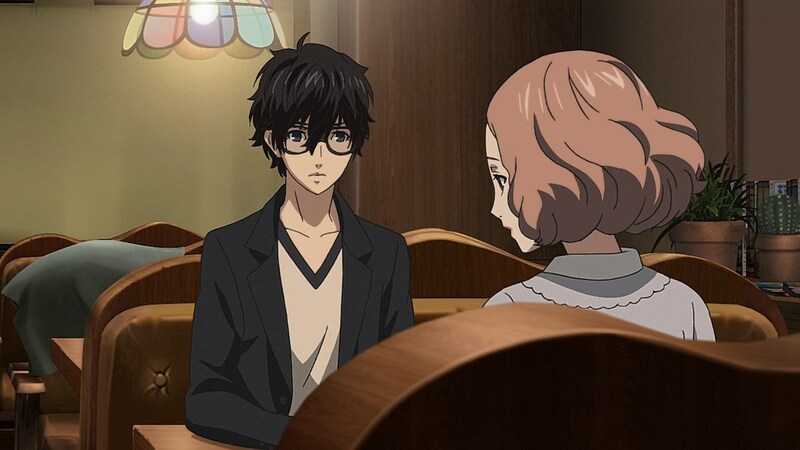 Haru does brush past her father’s passing, but she does confide with Ren about how much his company places on her now that she’s one of the few people who would be able to have control of his fast food empire in his stead. 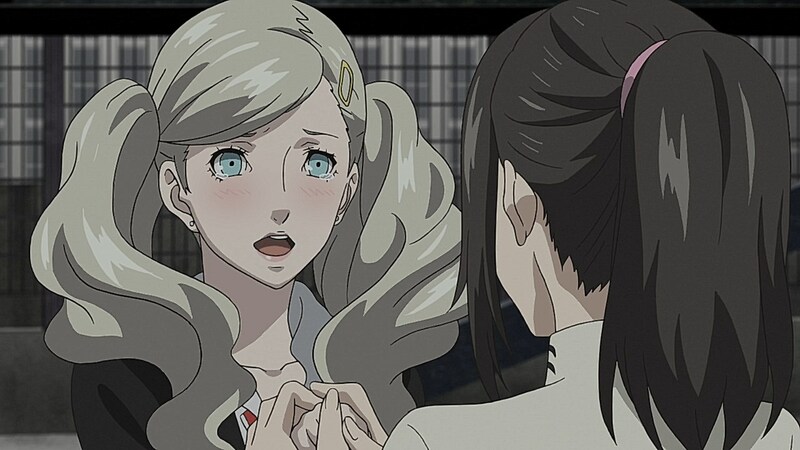 One scene that stuck out the most was the adaptation of Ann’s confidant when Shiho comes over to visit. 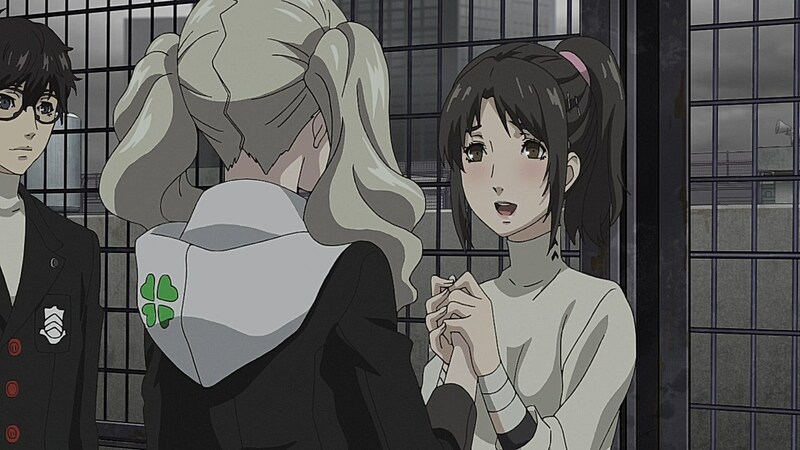 Shiho’s honesty and determination to overcome the helpless feeling she had when she jumped from the top of the school helped to show how far Shiho came as well as how far Ann has come in showing more compassion and support for Shiho now that she has the right level of confidence to reach out to her. 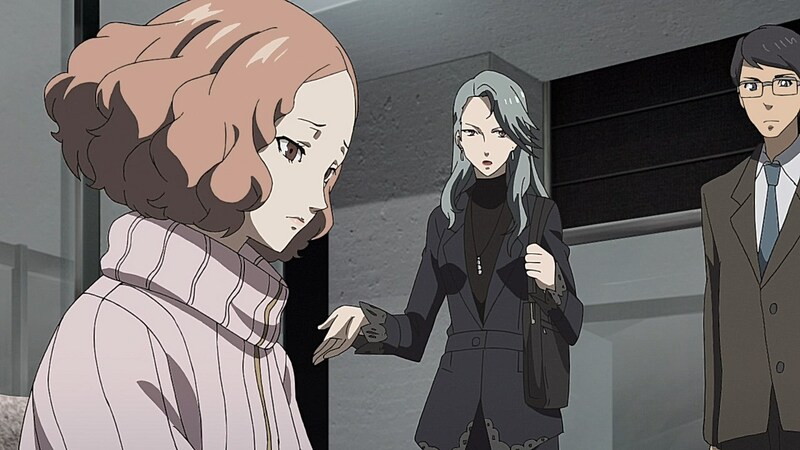 Lumping Haru in there to have her learn from Shiho did feel shoehorned in, especially since Shiho reappears around the tail end of Ann’s confidant that you can complete way earlier than Haru’s very first appearance, but it’s an acceptable twist. 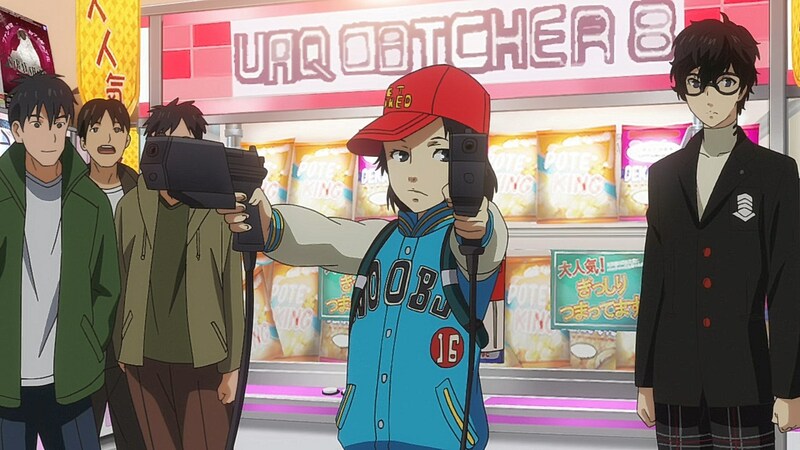 Shinya’s appearance during the Mishima confidant also felt like an afterthought because they took a lot of time to introduce him, but it’s good that we at least got to see everyone’s favorite sharpshooter show Ren how to use a gun by playing arcade games. 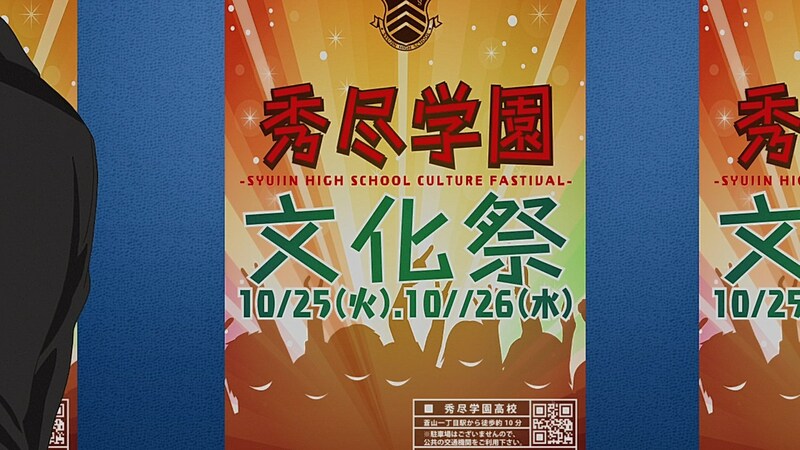 With the culture festival on the way, however, it looks like the show is going to steer right back into the main plot next week. Hmmm. I feel like the anime will not be giving us a romance, at least one that will feel believable with the time it has left. That will not reduce the show’s quality, but otherwise, I don’t know how to feel about it. Did Persona 4 give us romance? I don’t remember that it did. 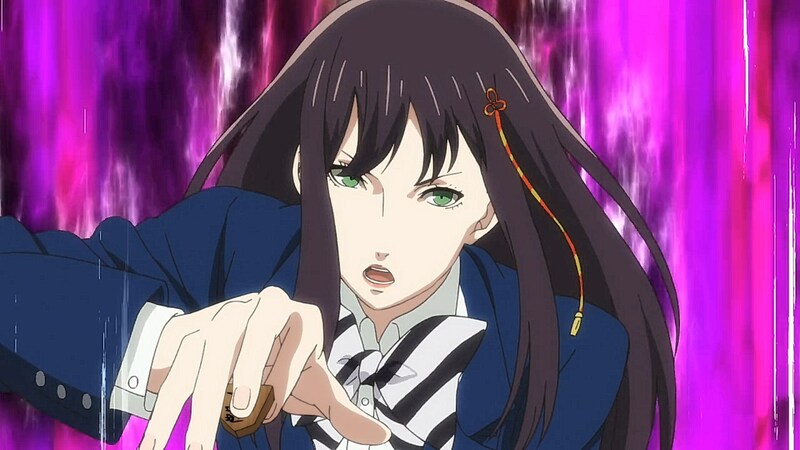 IIRC, that’s how Hifumi’s father taught her how to play shogi. 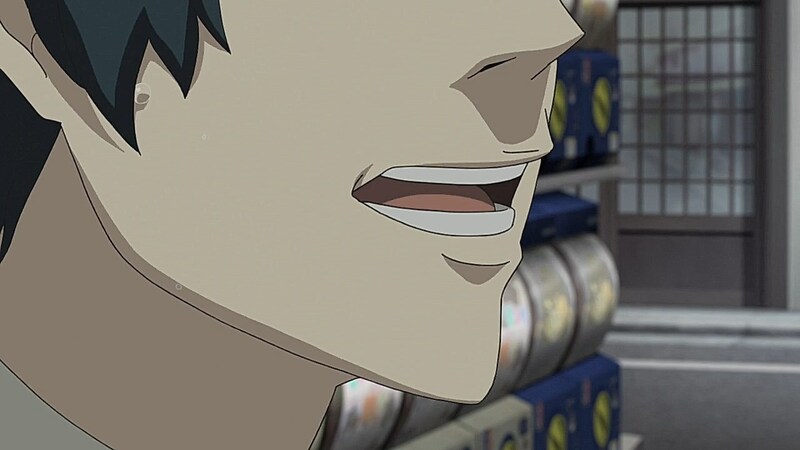 It’d be so funny if the anime covered the “Ren romances everyone” route for Valentines day. Sojiro handled that in such a legendary way. 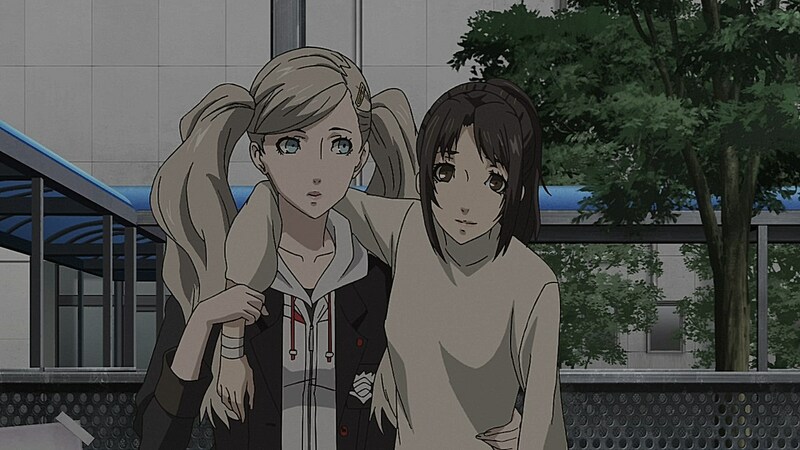 The romance may not be focused as much in the anime compared to the games, but ever since Makoto joined, it looks as if she’s been the closest we’ve had to a love interest for Ren, especially with how she clung on to him when they snuck into Sojiro’s house looking for Futaba. The games don’t have much in the way of depth with romance either. I know they’re not dating sims but as soon as you rank someone up to Max they break off all contact with you lol. 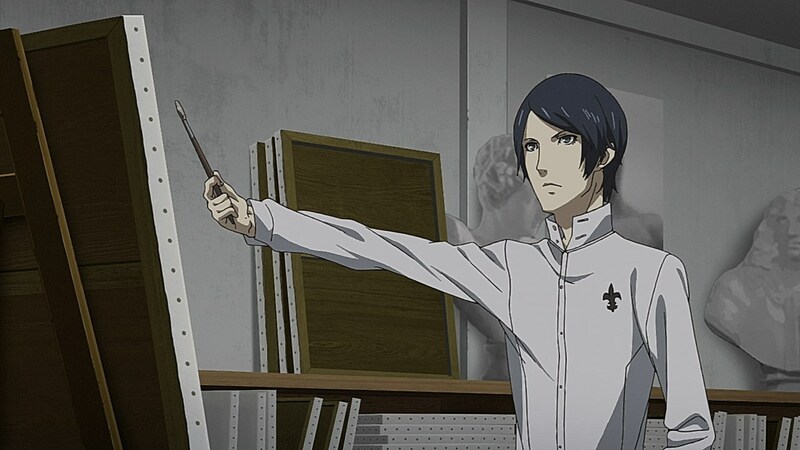 They’ll probably make it neutral like with how P4A handled the romance elements. 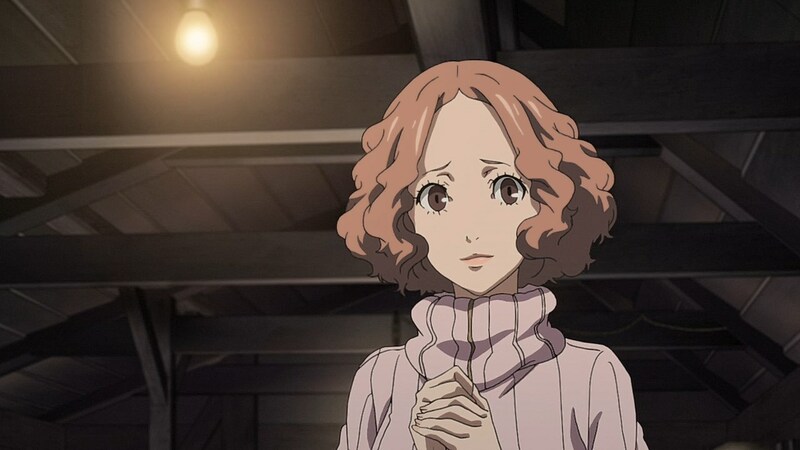 The game itself didn’t have too much going on in the means of validating your romance options other than small ship-teasing moments (Joker looking fondly at Ann in her introduction, Joker saving Makoto at the pyramid, Joker looking fondly at Futaba at the beach, etc). It’s also one of the low parts of the game as they don’t have as many opportunities to have cute dialogue options that tie to your relationship or as many hangout moments that feel like you’re hanging out with your GF. 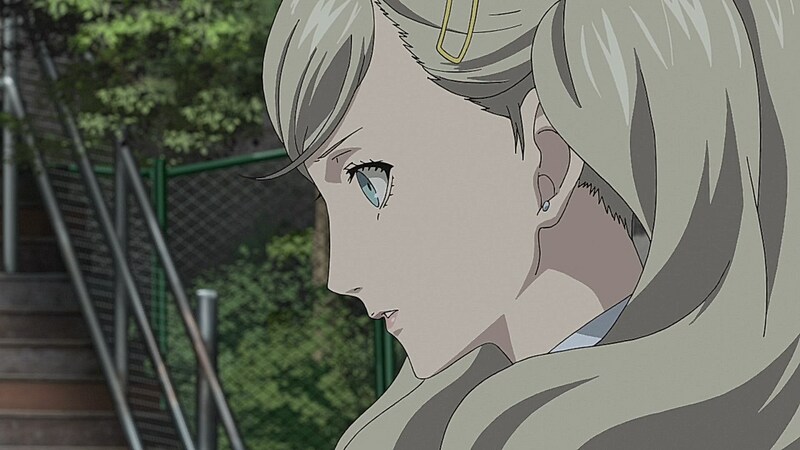 I think Atlus missed out massively on the potential the romance thing offered between Ren and whomever he dated. They could have gave the player the ability to randomly invite whomever you’re dating to locations whenever or text(With pre selected responses) to perhaps trigger more events. They could have also had confidants text or confront you if you ignore them for too long. 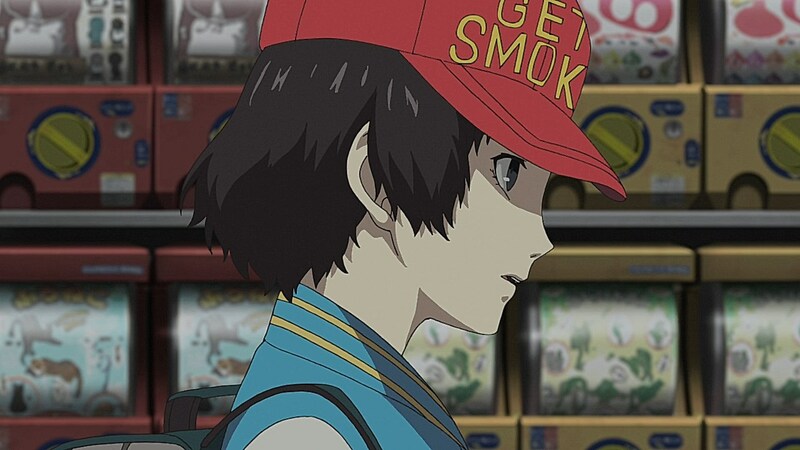 I think Atlus barely scratched the surface with the potential that was there. 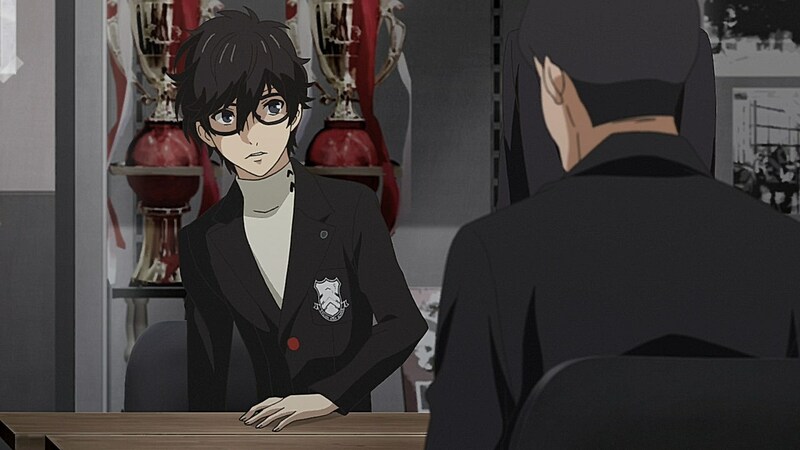 Because to me the confidants were just a means to an end to level up to get the abilities they offered(Such as Mishima with the exp boost). Some of the stories like Anns were dreadful. 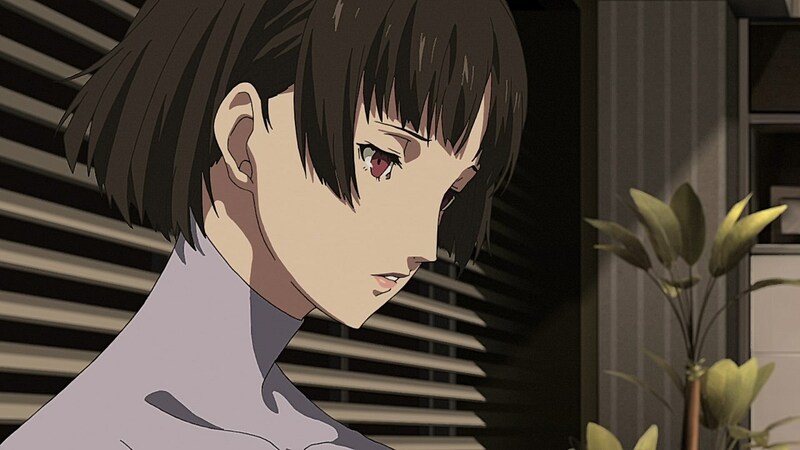 Makotos was a little more interesting and more real with the issues she dealt with. How many episodes was this series for? I’ve heard it was meant as a 2-cour series, but it still feels like there’s a lot of story left to cover. Just before the credits roll you can see it advance to 23 with the little dagger thing. 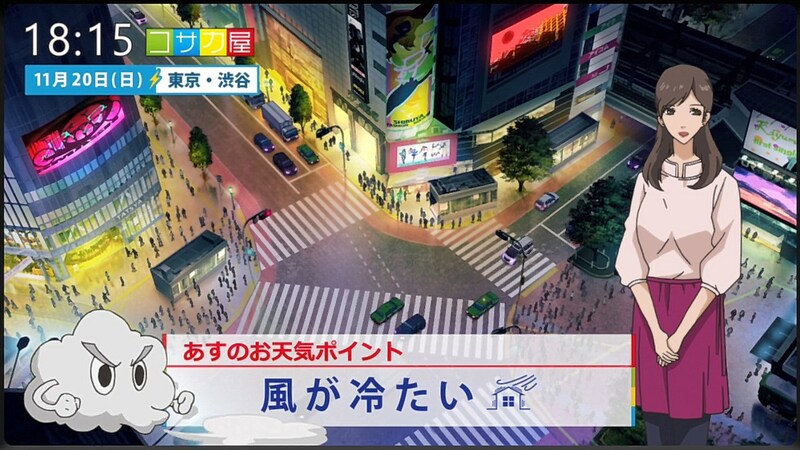 You can also see there’s 26 numbers there so there will be at least 26 episodes. We should know for sure next week when that thing advances(It may show beyond 26, it may not..). Oh and to answer your other question there’s three palaces left. If they don’t intend to cover absolutely everything it would be lovely if they covered the seven main palaces and did the final one as a movie. It would work so well. 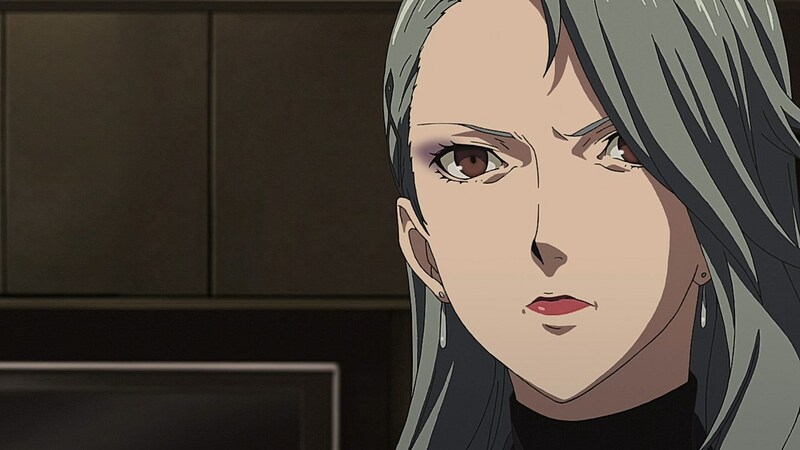 Hmmm… I feel the anime’s trying to wrap up all possible Confidant storylines in this episode (save for Ms. Kawakami, Chihaya and perhaps Iwai–though I may have missed a few others). 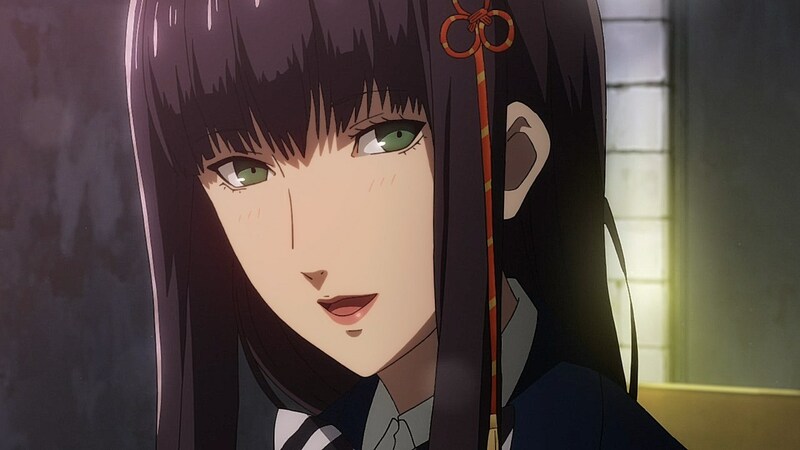 Aww yeah, been waiting for a while to see Hifumi’s chuuni side… Not exactly a full “day in the limelight” episode for her, but it’s close enough. Sorry, posted this in the wrong thread. 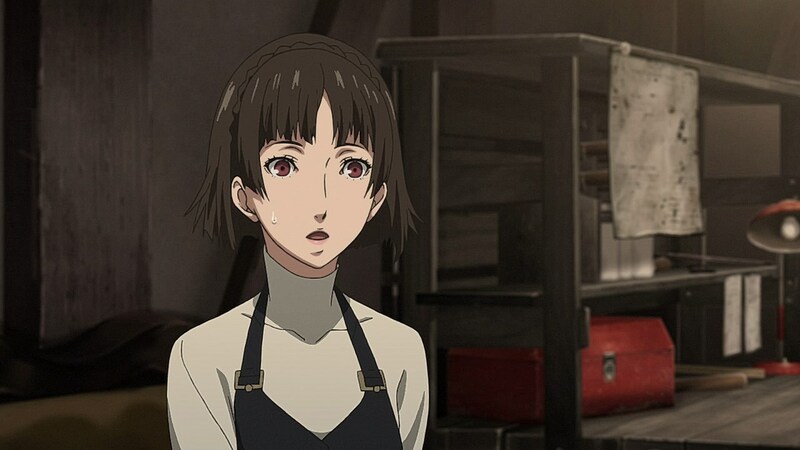 They did miss out on a few confidants, but it seems like they wanted to make sure they touch their bases when it comes to the gist of the confidants. 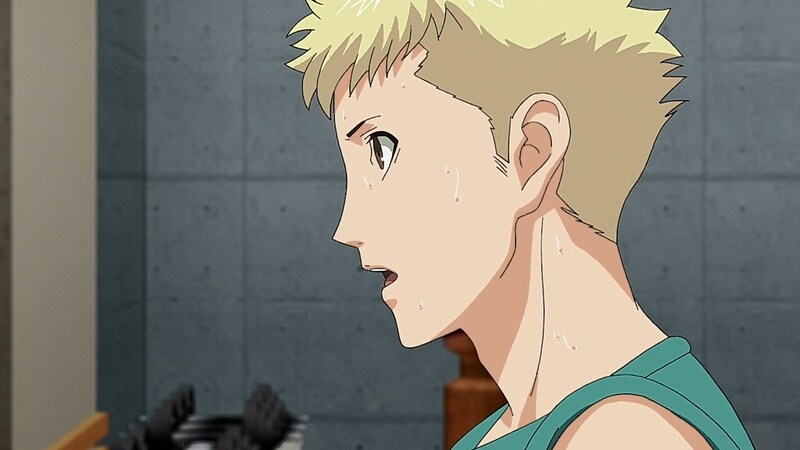 They still have quite a few they need to develop further before the series ends, but they got to the end of Yusuke, Makoto, Ryuji, Mishima, and Ann so far. 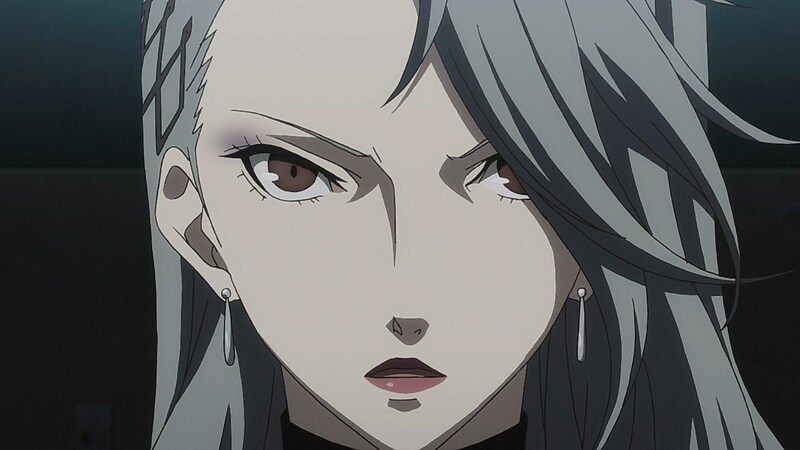 Sae is pretty amazing though. 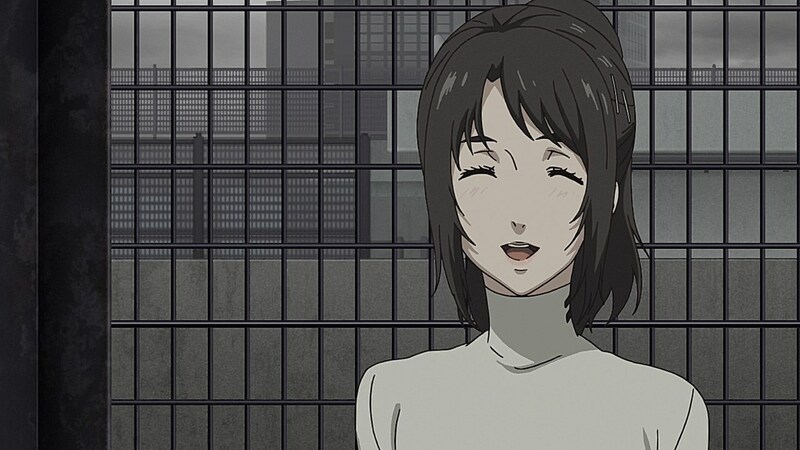 I couldn’t for the life of me work out how to get the Shinya confidant on my first playthrough. I must have visited the arcade a few times, got the request but couldn’t advance beyond that. Ok sorry. 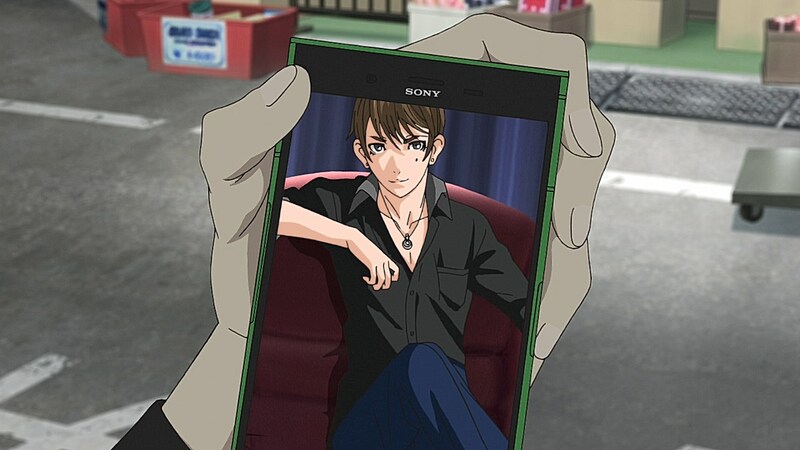 I mistook Shinya the arcade kid for the guy who runs the phantom thieves site. LOL That explains why the average level before the final dungeon was like Level 75. Everyone exploited the reaper thing. 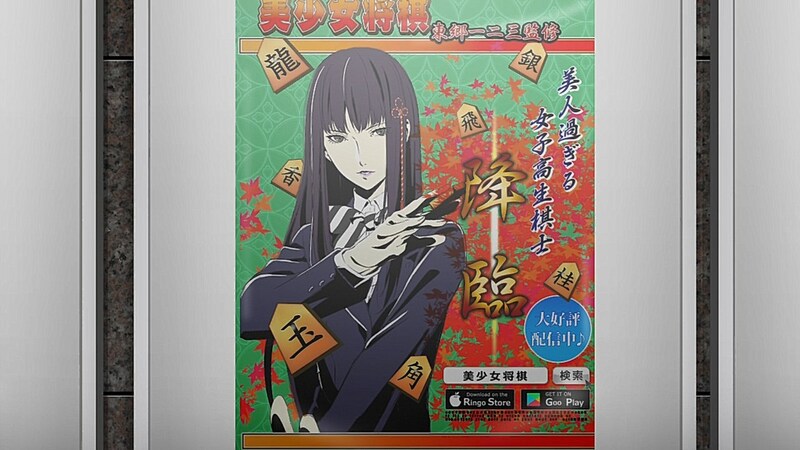 I admit I tried it in November but I had no luck and didn’t have Hifumi ranked up sufficiently to escape for battle instantly. I mostly just wanted the trophy and would have only have done it once. September 4, 2018 at 10:44 pmYou know, for kids! September 5, 2018 at 10:27 amIt’s true I’m in a tight spot but now, it’s time to make a comeback. 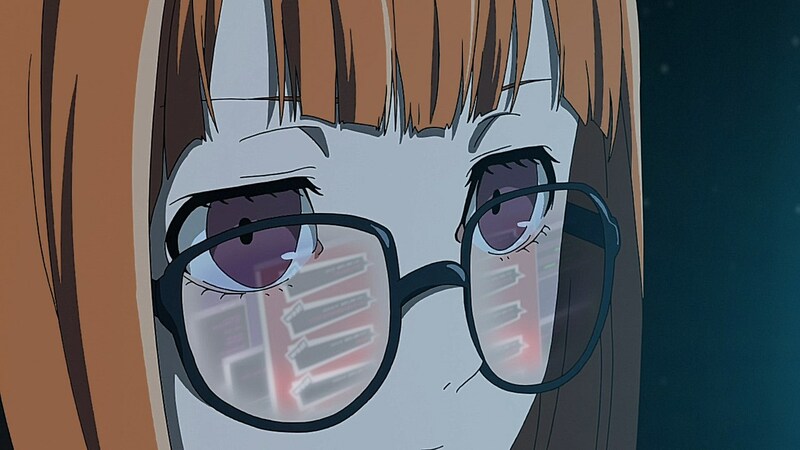 I call this episode “cram in all the confidants before we get back to the main plot”. 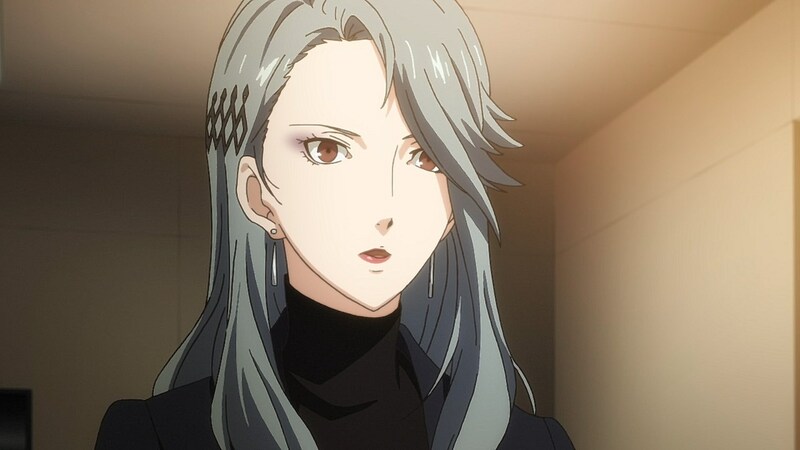 – Which is a good place in the story to do that since the Phantom Thieves had to lay low for a while. 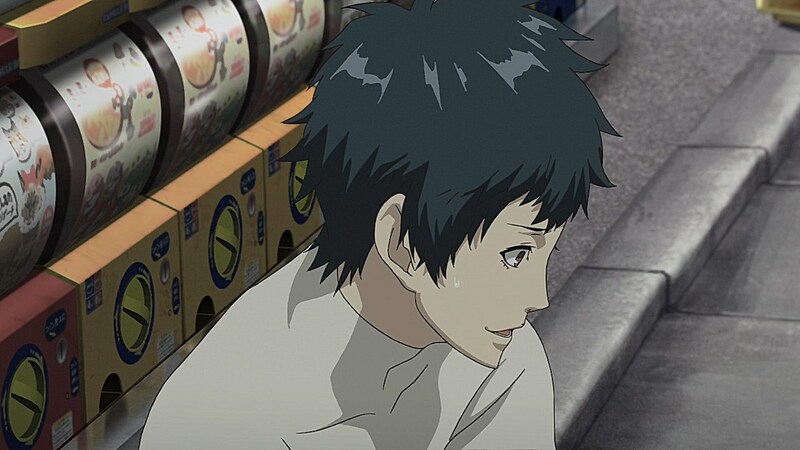 I thought it was interesting in the game Shadow Mishima calls out the Phantom Thieves’ leader to speak to him alone whereas in this episode Joker simply walks forward and gives him a pep talk. The scene where Ren considers dual wielding guns then Mishima catching him in the middle of it made me laugh.